Ever since the extremely controversial draw between reigning WBC heavyweight champion Deontay Wilder and lineal heavyweight champion Tyson Fury, an awful lot of boxing fans have been questioning the validity of Tyson Fury’s claim to the heavyweight lineal championship. The widespread debate has been omnipresent across various boxing message boards and many social media platforms, as the fans engage and debate the facts. Question marks surrounding Fury’s valid claim is actually something that started before the mega fight showdown between Wilder and Fury, but such questions seem far more widespread since the draw. The fight between Wilder and Fury was an entertaining one. Most observers felt Fury deserved the victory, but Wilder scored knockdowns in both the 9th and 12th rounds which allowed him to escape with a draw – and his belt. 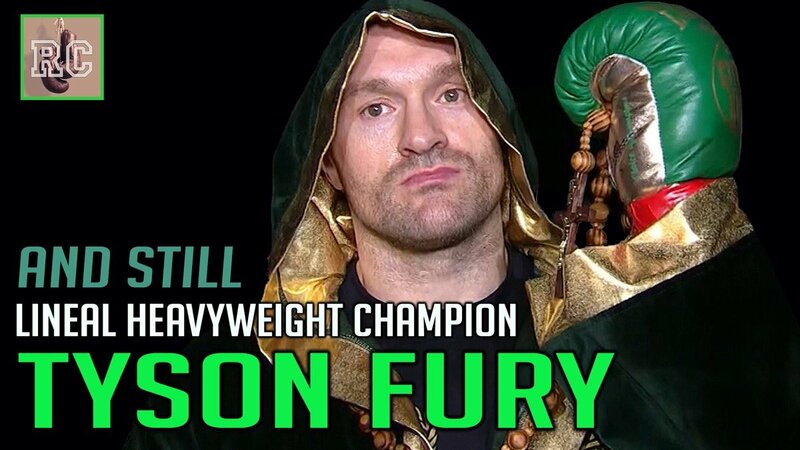 But on the flip side, Fury still has a rightful claim as lineal heavyweight world champion, and it’s somewhat surprising that so many fans are actively discrediting Fury’s legitimate claim. When you look at the history of the heavyweight championship, there has yet to see a truly compelling argument against Fury’s valid claim to the lineage. No matter which way you slice it, Fury is undeniably the man to beat right now in any historical context. And if we look through heavyweight history, several historical precedents reinforce this fact. This edition of Rummy’s Corner attempts to provide an historical study into the history of the heavyweight lineage, and more specifically, a review of the historical precedents that, taken together, solidify Fury’s claim as the rightful lineal heavyweight world champion. When taking all of these relevant historical precedents into account, we will also review the main claims Fury’s detractors use to discredit his rightful claim, and we will debunk each of those criticisms one by one to illustrate the raw strength of Fury’s case. For one man’s views on this frequently talked about situation, please watch and enjoy the video.